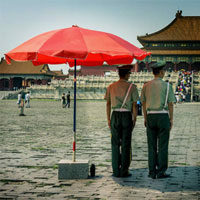 Since we recently highlighted Chongqing as a great candidate for a weekend trip, the next on the list has to be Kunming. A combination of geographical features make Kunming a “Spring City”, which means fantastic sunshine and a cool breeze to enjoy for most of the year. 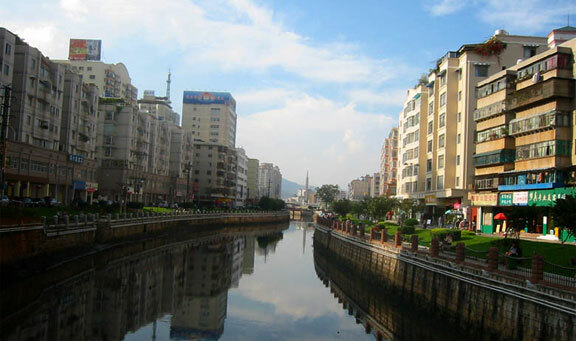 If you didn’t know: Kunming is one of the major hubs of Western China, being another provincial capital along with Chengdu, and is for most visitors the gateway to sunny and beautiful Yunnan province. 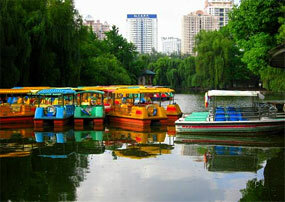 It’s quick and easy to get to, and Kunming has long been established on the Western China tourist trail for good reason. Yunnan Province is a unique region with a natural beauty that’s stunning and endearing. The many well-preserved local and minority traditions scattered around the Province are all easily accessible from Kunming. It’s not quite as easy to get there from Chengdu as Chongqing is, but there are several options which make this a relaxing trip for anyone who wants to enjoy all that Southwest China has to offer. When traveling to Kunming you have two choices: a 90 minute flight, or a 12 hour train. On my recent trip to Kunming to perform at Disco Death, a friend and I took a flight to Kunming and returned to by train. Both have their advantages and downsides and I’ll share what our experience on this recent trip, highlighting the changes that have occurred over the last few years. The quickest way to arrive in Kunming is to take a flight from Shangliu Airport (????) in Chengdu to Kunming Airport – a trip that’ll take 90 minutes in the air, but about 4 hours of total travel time including taxi’s to and from airports, security checks, and so on. The cost of this flight varies greatly depending on a number of factors including season, day of the week, time of day, carrier, and when you book your flight. If you book in advance (I recommend booking online with Ctrip or eLong) you can find flights for under 500 yuan, but if you wait until the last minute you’ll be paying over 1,000. A taxi to downtown Kunming isn’t expensive and will cost around 25 yuan, or you can take a bus for 10 yuan. The fastest train to Kunming currently takes about 12 hours, which is twice as fast as this particular trip used to take. Over that twelve hours, you’ll get an eyeful of Sichuan and Yunnan scenery, save some cash, and have the opportunity to make some new friends on the train. Booking a night train is probably the best option – you’ll board in the evening and can get a snack in the dining car (where the food is not bad and is reasonably priced) and arrive in the morning. The train operators begin to lull you to sleep at 9:30am with traditional Chinese “sleepytime” music before turning the lights off at 10pm. A hard sleeper ticket costs about 250 yuan and is quite comfortable. I’m almost six and a half feet tall but I sleep well and find that the rocking motion of the train along with the ambient noise puts me to sleep quickly. The train features air conditioning and the temperature is very agreeable, but the stench of cigarette smoke hangs in the air, especially the dining car where police officers chain smoke cigarettes late into the night. Bring a book or something to pass the time – on our trip we enjoyed a few games of Scrabble on iPod touch, handing the device back and forth to pass the late evening hours before going to sleep. Boats waiting for passengers, Cui Hu "Green Lake"
Once you’ve arrived in Kunming, there’s no shortage of local sights to check out, whether you’re interested in strolling around picturesque lakes (I recommend Cui Hu, a 400-year old park located in the NW of the city) or one of the city’s many Buddhist temples. Whether you arrive in the Kunming airport or the train station you’re not far away from a city guide which will have updated information on local destinations, and the internet will also yield whatever specific information you’re looking for. If you have time and interest, the Stone Forest (??) two hours outside Kunming is a UNESCO site of incredible karst geography. Don’t forget your camera! Kunming's Stone Forest is two hours outside of Kunming. Entry costs 140 yuan, or about $20 US. 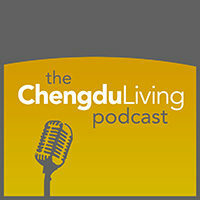 Have any questions or comments about Kunming? I must check out the stone forest next time I go to Kunming. Incredible landscape. It really is. As soon as you step off the plane/train in Kunming the weather and sunshine are really great. When I was there it rained and people were actually celebrating. It’s a rare occasion!